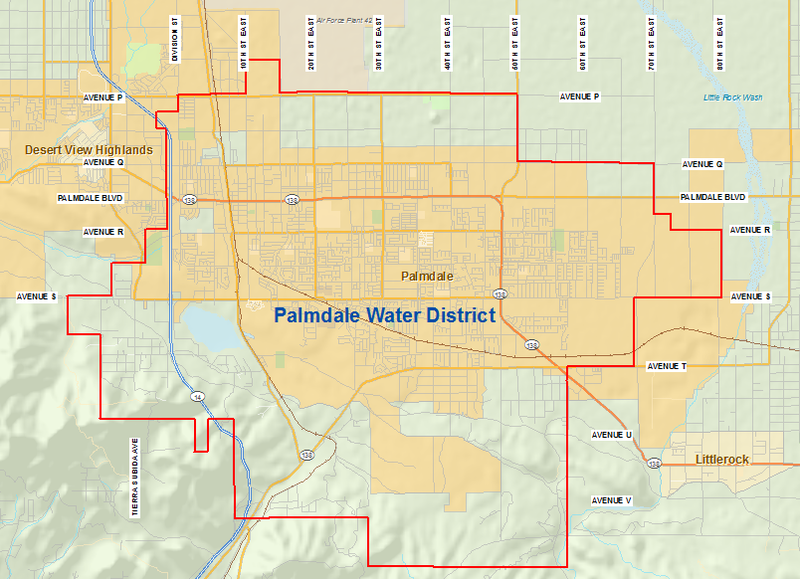 At first glance, understanding your monthly water bill can seem a challenging task for both new and existing Palmdale Water District customers. 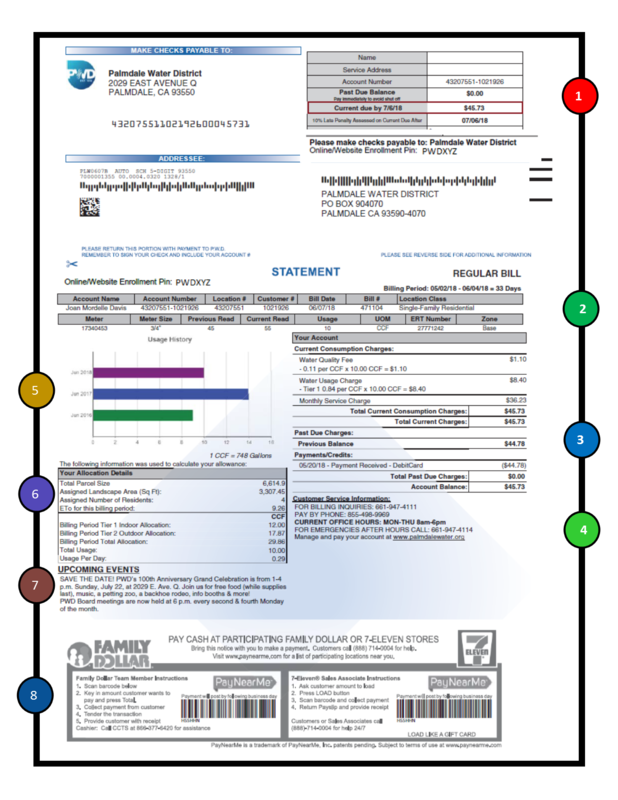 To help you better understand your monthly water bill, we will take you through each section of a typical Palmdale Water District bill and explain the information provided in each section. If you still need assistance with your bill after reading through this, feel free to contact our Customer Service Department at 661-947-4111. All meter numbers, meter sizes, and previous and current reads for your property are listed. Residential customers usually only have one meter, but commercial and other accounts may have several meters. Office hours, a phone number for billing questions, an emergency phone number and the PWD website are listed. This section provides a three-year, same month historical graph on your water use. The information in this area was used to calculate your monthly allocation or water allowance for the month. For single-family residential, four people in the home is the default number. If you have more than four people living in your home, please fill out an Annual Variance Request for Increased Water Allocation form available on the PWD website or in our office. Look for PWD news, landscape workshops and other upcoming events. This section provides a scan code that allows you to pay your bill at PayNearMe locations, including Family Dollar and 7-Eleven locations.